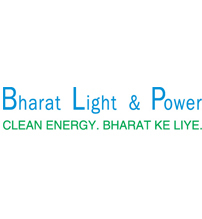 Bharat Light and Power (BLP) is India´s fastest growing clean energy company. India´s massive energy needs combined with the BLP team´s execution capability present enormous opportunities for leadership in the clean energy space in India. With a vision of 1GW of operating assets by 2015, the BLP team is actively pursuing opportunities in wind, solar, gas and other clean sources. The company´s unique approach of building scale coupled with highest levels of asset quality is first of its kind in India. BLP is also pioneering ways to make roof-top solar a viable alternative for diesel electricity.